Nobody likes it when the hours you’ve just spent (not to mention the money) goes wasted on a failed project . I suffered through several of these craft nights myself this week. I was working on a last minuet gift when I hit a wall. My needle broke 5 times an and I ruined 2 tees I had bought for the project. The gift missed the appointment and I was defeated. The next day I picked up a dozen more needles to give it a try again. I also bought different interfacing products hoping for better success. I sit down again and the embroidery goes well. I show my son my finished project relived I have finished only for him to tell me it is spelled wrong! It went directly in the trash. I’m angry at this point, for the wasted time and money. 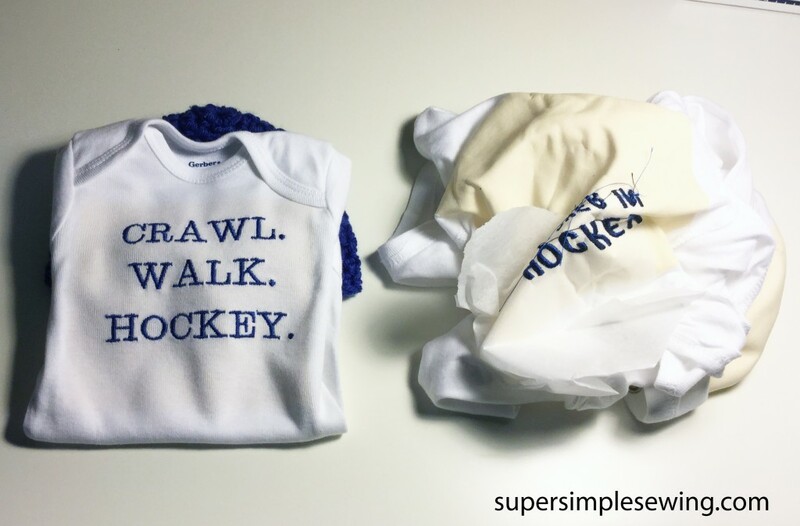 Later that evening I returned to my previous failures of the baby tees. This time I finished without incident . This experience brought back memories of when I was just learning to sew. I was not always pleased with my projects once they were completed. Not everything you sew will be amazing. Just like a recipe that fails, patterns and projects can fail too. 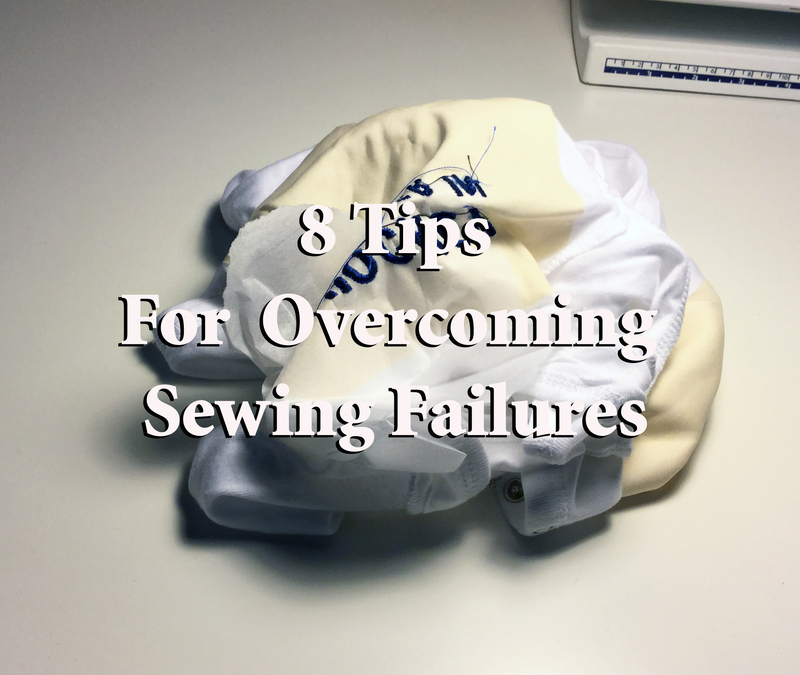 I have a few tips to avoid failure and how to deal when it hits your sewing room. 1. Don’t craft under pressure if you can avoid it. Working under pressure doesn’t always allow you to have a clear thought process when problems arise. Sewing under a deadline steels away some of the joy and creativity that keeps us sewing in the first place. I tried to sew a gift that need to be delivered in less than half an hour and I ended up having nothing to show for my efforts. 2. Avoid crafting tiered. I know as busy people we squeeze in sewing and crafting when ever we can and for many young families it is late at night when we have a free moment. Sewing is a bit like a logic problem that needs to be solved. Attention to details, correctly reading directions or keeping a straight seam allowance all become more difficult as we sew in to the wee hours of the night. 3. Have The right tool for the right job. I know the feeling of being excited to begin a project only to find you are missing the correct interfacing, long enough zipper or type of needle called for in the pattern. In the excitement to start we underestimate the importance of our missing supplies. In this case do what you can then stop. I know it’s hard but using the wrong supply will usually cost more time or money as the project progresses as well as lead to frustration. 4. Don’t cut corners. I was very guilty of this when I started sewing. I never interfaces, rarely top stitched and I hadn’t even heard of under stitching ! Unfinished raw edges and halfhearted pattern notching plagued my work. It wasn’t till I stopped cutting corners that I finally began to see real improvement in the quality of my work. 5. If it’s not going well walk away. It doesn’t have to be long just take a break, regroup and collect your thoughts. Sometimes you will have a different perspective on the problem when you return. 6. Make a mock up. In fashion this is sometimes called a Toile or Muslin . (here is how) Sewing with fabric you don’t mind messing up will give you practice and confidence so the “good stuff “you bought is less likely to fail. I have made mock ups for window treatments and craft projects I was trying to perfect. Sometimes the only way to learn is just to try. I have been sewing for 25 years and I still can’t always predict how fabric will behave. 7. Know when it’s time to get help. There are soo many sewing resources out there along with your crafty friends. Ask for help and save yourself the aggravation of going at it alone. Most sewests are happy to give advice. If it is an option taking classes help jump-start improvement. You can YouTube just about any skill these days, take advantage of the amazing digital age we live in. 8. Try try again! Don’t give up when things get rough and ripped seams abound. It is always worth the process when you break through and learn a new skill. If it isn’t challenging then you probably aren’t growing. It is such a rewarding feeling when success finally comes.